Although love can never be broken down logically into a set of discrete and measurable characteristics, a noble scientist nonetheless attempts to do so after using himself as a guinea pig for the experiments. The ideal man in the mind of an Indian mother had been studied previously, but the intricacies of the Chinese female brain are an altogether different matter. Let us begin with ten distinct traits a beautiful Chinese woman would find desirable or undesirable in a man. Desirable: Is he Chinese, funny, handsome, honest, hygienic, kind, rich, smart, and well-mannered? Two archetypes, the Indo-Canadian Temptation and the Rich Chinese Guy, will act as the objects of desire on whom the experiment will be performed. The two candidates will be given scores of 1 or 0 for each trait, with 1 going to the man who wins that category. No ties will be accepted, so each category will have a clear winner. If neither candidate merits a win in a particular category, there shall still be a loser. Scores of 0 and -1 will be given with the stronger, though still weak, candidate getting a 0 in this scenario. After sorting through real world data, the results were compiled. The Indo-Canadian Temptation secured 7 categories, while 3 were claimed by the Rich Chinese Guy. Now that we know who the participants are, the characteristics that will be measured, and the ranking methodology to be used, only one other variable remains. The relative importance of each characteristic must be determined. A weighting must be assigned to see how much impact each trait has in winning a beautiful Chinese girl's heart. Two tables are henceforth displayed. The first shows the results if an equal weighting is given to all categories. The second shows the results with weightings matching the importance of each trait. As expected, the Indo-Canadian Temptation's strength and consistency across most categories allows him to win the girl's heart with a score of 30. The Rich Chinese Guy hangs his head in shame with a -10 performance. When relative weighting is used according to the preferences of a Chinese girl the Rich Chinese Guy scores an unbeatable 80 by putting all his eggs into the highly weighted baskets of being rich and Chinese. Despite dominating 7 of 10 categories, the Indo-Canadian Temptation falls short of his goal with a lousy -20 rating. When an average of these two measures is taken, the Rich Chinese Guy still comes out on top 2-1. He also has a larger margin of victory over his opponent when he wins. At first glance, the equally weighted index seems to indicate a landslide victory for the Indo-Canadian Temptation based on his across the board excellence. Further investigation reveals that their are some hidden variables that have to be taken into consideration. This tilts the game of love heavily in favour of the Rich Chinese Guy. Although the Indo-Canadian Temptation has delved inside the mind of a beautiful Chinese girl, he still remains outside of her heart. On October 1st, 1949, the People's Republic of China was founded. Fast forward sixty years from the days of Mao to now and a lot has changed. China is or is on its way to becoming the statistical leader in almost every measureable quality, positive or negative. A single party governs a population that has more than doubled to 1.4 billion people under its rule. There are 171 cities that have populations over one million. Now the world's second largest economy, China's growth rates have averaged around 10% every year for two decades. The confidence and pride of the Communist government in its abilities and accomplishments was on display during the spectacular parade to mark the 60th anniversary of the birth of a nation. One Friday in September, everyone was ordered to vacate from Beijing's central business district after lunchtime. A security clampdown was in place for the practice run of the parade. Roads were cleared of any bystanders or unofficial vehicles. Armoured personnel vehicles patrolled the streets and well armed troops kept watch at each intersection. I had a train to catch that night, so I had to go to Beijing Railway Station eight hours in advance. It was jam packed by the time I arrived, with the overflow having set up camp in the square in front. The square provided a perfect vantage point to see the trial run of the parade. My invitation to see the actual parade was lost in the mail, so I was lucky to catch a dress rehearsal. A stream of 100,000 marching youth, 60 colourful floats, and tonnes of heavy weaponry completed the circuit. For the high security spectacle, many precautionary measures had been taken. Businesses and tourists sites in the general vicinity of Tiananmen Square were closed. Residents were warned not to peek out of their windows or go out onto their balconies. Commercial flights were delayed temporarily. Most importantly, knives were taken off store shelves and kites and birds were removed from the air. Without a ticket to the invite-only extravaganza, I watched the parade at home on October 1st, 2009. With Vancouver in the Stanley Cup Final, the whole city has been in high spirits since my return. Fans, old and new alike, have donned Canucks jerseys as they gather in public spaces to watch the games on large screens. The streets of downtown Vancouver near the main branch of the public library have four sets of screens in one square block, which are closed off to vehicular trafic several hours in advance. Most of the revelers gather here, with faces painted and flags in hand. They are ready to burst into raucous celebrations immediately following a Vancouver victory. For those who want a more relaxed environment, comfortable seats, and unobstructed views, Rogers Arena telecasts games taking place in Boston on its giant screens. 20,000 fans wave Canucks towels and stand for the national anthem in unison. During the intermissions the ice girls skate out with Fin, the mascot, and launch prizes into the stands. A team of toddlers plays an action packed game of exhibition hockey during intermissions. It almost feels like being at the actual game. The best celebrations happen in the most unexpected of places. In the Indo-Canadian suburb of Surrey, cars start honking their horns as soon as the final whistle blows after a Canuck win. Whole families, from preschoolers to grannies, come out to celebrate on the streets. Scantilly clad girls dance in the middle of a boulevard, vehicles tooting their horns in appreciation from both sides of the street as they pass by. The icing on the cake are the pickup trucks carrying dhols, large Indian drums, which are beat as rhytmically as the Canucks' opponents. Win or lose, the way that this city comes together in times like this is truly amazing. 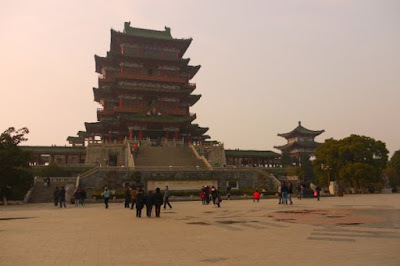 Before I returned to Vancouver, my last expedition in China was to Yinchuan. I was accompanied by a Finn. 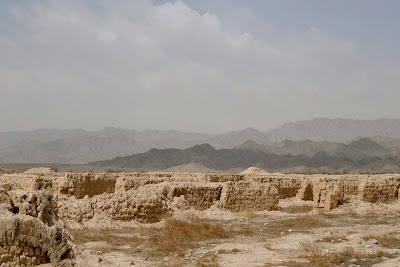 The capital of the Ningxia Hui Autonomous Region was previously the capital of the Western Xia empire, before it was wiped off the face of the Earth by Genghis Khan and his troops. 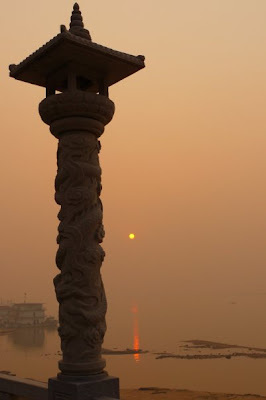 Little is known about this dynasty which ruled the area for two hundred years. All that remains of the Western Xia empire are 250 imperial tombs scattered about the outskirts of Yinchuan. We were among a handful of visitors to the lightly trafficked mausoleums. We walked past the watchtowers, around a sacrificial altar, and towards the tombs. The land was quite barren near the two large mounds in front of us. Birds had made their residences in the royal tombs, which were in various states of decay. 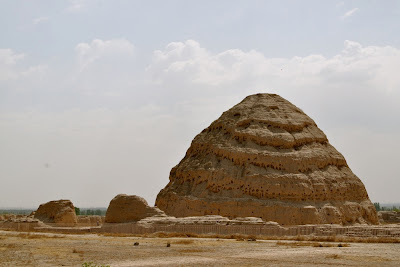 Chinese archaeologists had sprayed the tombs with a special chemical to minimize the damage caused to the mud and bricks structures by wind and rain. 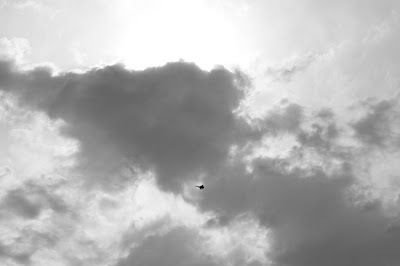 A large air base is located near the remains, so military aircraft of the People's Liberation Army Air Force continually whizzed by overhead as we explored the tumuli. The most popular sports franchise in the city, the Vancouver Canucks, stood atop the National Hockey League's standings at the end of the regular season. It entered the Stanley Cup playoffs as the top ranked seed and one of the favourites to win the coveted trophy. After battling through three best-of-7 series, Vancouver claimed the Western Conference crown. In the finals they would face the Boston Bruins, winners of the East. My return to Vancouver after 15 months away coincided with the return of the Canucks to the Stanley Cup Finals after 17 years. The city was in a jubilant mood at this pleasant turn of events. Once the hockey team had secured a 2-0 series lead, provincial politicians felt it was an appropriate time to to relight the Olympic Flame. 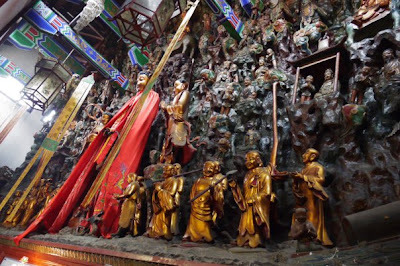 It was fenced off during the Winter Games, so audiences could not get too close to it. The barricades had long since been removed, so this time around there was a clear view of the torch being lit. 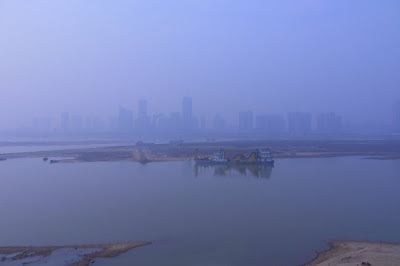 As the calendar turned from 2009 to 2010, I took a three day trip to southeastern China with three of my good friends. We assembled in the early hours of January 1st at the Beijing Capital Airport, wolfing down a Burger King meal to usher in the new decade. We were flying to Nanchang, capital of Jiangxi province. Another mega-city in a country full of mega-cities, we bypassed the large scale infrastructure of Nanchang and headed to the nearby village of Luotiancun for the first day. 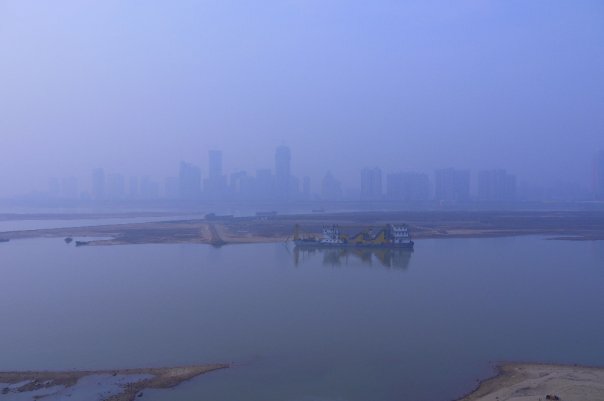 The second day was spent exploring Nanchang. After going to a few Buddhist temples and having lunch, we saw a large lineup in front of a building and joined it without hesitation. 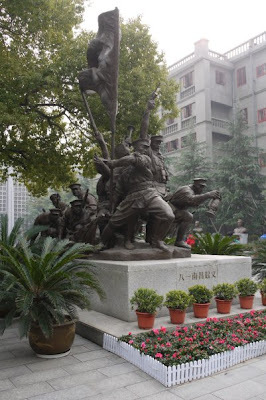 We ended up inside a museum chronicling the history of the Nanchang Uprising. On August 1, 1927 Communist forces battled the Kuomintang for control of Nanchang. This marked the birth of the People's Liberation Army. We then headed to the magnificent Pavilion of Prince Teng, another of the "Four Great Towers of China" memorialized in poems by men of letters who had passed through before I.
Nanchang was shrouded in fog when we left for the airport before dawn on our third day, our taxi driver barely able to navigate through the roads in the zero visibility conditions. Because of the weather conditions, our flight was delayed indefinitely. We passed the time sipping coffee and playing cards. A bored Polish girl also joined us. She enthusiastically discussed her love for the Canadian television series "North of 60", an apparently riveting show about life in the sub-Arctic that I had never watched despite my nationality. Our flight finally departed in the evening, and night had fallen by the time we arrived in Beijing. A lot of snow had also fallen, the most that the city had seen in decades. Witnessing an incredibly long queue for taxis, we headed to the Airport Express train platform to see if that would be a better option. The metal gates were closed shut. A much larger crowd congregated outside, growing more and more restless. The security guards cautiously opened the gates and let a few passengers push their way inside when the train finally arrived. Most of the crowd remained on the outside looking in as the guards prepared to close the gates again. Some people tried to keep them open, letting a few more stream through the portal. They could not keep it up for long though, as their strength was fading. One of my friends pumped his fists in the air, yelling "Do it for your fellow Beijingers!". Individual desires were set aside, and the door blockers were joined by the masses in forcing open the gates. In the ensuing frenzy, we surged through the gates and onto the train home.